I've been missing for a couple of weeks now. Sorry, but it gets crazy from time to time. So I'm going to get back to it as best I can and making a special annoucement very soon. 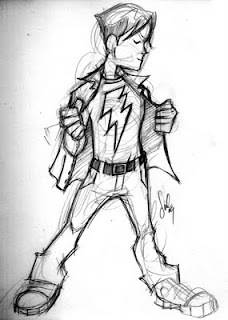 In the meantime, here's a little Mike Shelton changing into the Bolt sketch. See you soon.